i was aiming for end of 2009..and maybe even earlier…but after seeing this report, i might just wait till at least now to the end of 2009. Is it me, or is San Marino bubbleproof? Looks like the party is just starting. Time to keep renting for a few more years. Looking at Zillows, there was a time where homes could be got for 500-600K, at least in the Mission District (around 2000). Last summer there were a couple homes offered at 800K. One ended up going for around 975k and one was taken off the market by sellers. I think the market could take quite a while to recover, 2009 is going to be a year for renting that is for sure. The story for Arcadia might not be the same though. The price for houses in Arcadia has not dropped that much! Looks like the effect of the subprime would not be as big in Arcadia. Will the current trend of severity of job insecurity and growing conservatism in consuming affect the house price in Arcadia? I think 2009 will continue to fall, with the end of the year showing some stability. Strap yourself in, it’s going to be a fun ride. I’ve heard some buyers in escrow backing out due to crashing stock market. Apparently some people now has less money for a downpayment. I had just read the other day that many “experts” were projecting the market to start turning around for the better by mid 2009? I guess that goes to show how much the majority of experts know. Looks like home prices for Arcadia actually went up +2% for 2008. I just wanted to point out… This is going to rock all boats. People trying to ride out the housing market will get screwed in a deflationary environment. CASH IS KING! Everyone is thinking turnaround is in 2009 or 2010, but there is a real possibly that turnaround may be as late as 2015, according to Congressional Budget Office’s Jan. 8 report, and Suzie Orman. Put your money into precious metals and in a couple of years you will have more than enough money for a down payment. There were quite a few houses that sold in the high 800’s in San Marino last summer. Most of them on busy streets, but that was still a breakthrough compared to the previous years where 900 was the entry price for San Marino. I chalked some of last summer’s brisk San Marino housing sales to the usual annual desperation to get into San Marino schools. BUT this winter in San Marino sales have also been strong. lots and lots of houses have sold! Could be bottom-feeding. There’s a slight softening in the San Marino market in price per square feet but it is very minimal. maybe 5%. So far San Marino is bubbleproof. As far as I know San Marino housing prices have only dipped a few times in the last 50 yrs or so and the dips were just that — dips, not troughs. A friend of real estate agent told us that the offers has been coming in at 100k under listing prices, and she has been encouraging seller to lower price. There are still people interested in buying; you see many people going to open houses, except they are window shopping. I been looking at the listing and it seems that Arcadia area are not dropping that much. I used to own a lending operation that primarily originated and repackaged conforming loans to Fannie / Freddie. What the author doesn’t mention is that most Arcadia familys who buy here to live here do not buy with ARMs. The people who bought with irresponsible financing were the flippers and small-time builders. If you’ve been looking at the listing this week, it is not hard to discover sellers throwing in the towel in Arcadia, So. Pas, upscale parts of pasadena. Not yet for san marino, but its days are numbered. Just to let you know in a secret. Yes it is true that Arcadia families do not buy with ARMS, but the problem is not enough buyers with adequate liquidity or financing. Jumbo loans rate, if lucky enough to qualify, are in the north of 8% range. People with money were hit hard by the stock market crash. New constructions in arcadia are forced to sell half-finished because bank wants more collateral. This malaise is spreading to commercial loans, credit card, etc…hold on your wallet for a ride. By “throwing in the towel” you mean they have dropped their listing? I have seen the numbers of houses I’d be interested in drop. I hope this changes this summer. Anyway I’ve expanded my search to surrounding areas since sellers are too out of touch with reality. 928 Victoria (2bd/1 bath) was an interesting property. They asked 799k last year and the price slowly dropped to 708K. The seller even raised the price to 728K! What’s the rationale there? They paid 650k back in 12/06. They still have the Remax sign out but I dont see the listing up anymore on the website. If the property had gone in the low 600s, I’d had made an offer. what I mean by “throwing in the towel” is that sellers are realizing they are not getting enough bids, getting mostly low bids, and getting burned by people backing out due to financial contingencies. So now they are now willing to at least negotiate with a low offer, granted you have “all-cash” or no jumbo loans. Before you can’t even get a response with a low offer. Back when you were posting this blog post were you expecting the current state of the economy? 🙂 The graph can be extended. I have sort of grown out of my current residence, sure I can tough it out, but…. So my dilemena is just that should I tough it out until the bottom hits aka the middle of 2011, or go rent a new place. So does rising unemployment = rising crime??? Everywhere I have looked, it looks like this is true. However, what is the lag time? Meaning we just hit 10% unemployment when will crime rate begin to rise, and Where??? Don’t BUY right now. Arcadia is going to be hit hard soon and prices will be dropped to 2001 prices by early 2010.
once a good tax shelter for the rich may lose its appeal as obama getting rid of mortgage deduction gradually. This probably does not apply to Arcadia buyers. They don’t most likely have very high income, but much savings. I agree, don’t buy now. Arcadia prices are going back up. Keep telling yourself that “Arcadia prices are going back up”. Perhaps if you said it out loud 3 times daily in front of the mirror, it might come true. Grace and Arcadian, where are you?? This is the time you are needed most and you guys are abandoning your post! We do see a pickup of Arcadia sales recently, possibly due to the low interest rate and the rebound of the stock market. I am giving up on Arcadia due to the fact that I think the school is not good for kids(kids drives bmw/mercedes to school), too far from my work(I rather live in San Gabriel or South Pasadena, a lot closer to downtown. The so-call Baldwin stockers are stocked with cheap new constructions. The new addition to the Arcadia mall was disappointing… You see little or none of the premier brands. No Chanel or LV willing to come to Arcadia, go figure. My father-in-law who lives in HK told me that several large investors from china were pooling their money to buy real estates in the LA area during the bubbling years. They probably made a fortune doing it. I do see more activity in Arcadia even though prices are still ridiculous. I do think prices will flatline for awhile or lose another 15 percent slowly (2-3 yrs). Maybe it is true that the (ill-gotten) Chinese money won’t keep it propped up much, but you can’t deny the number of lookers every Sat / Sun. PS if anyone wants a buyer’s agent that is not afraid to submit lowball bids, drop me an email. Arcadia does have a good school district: if you’re looking for opportunities and an environment for motivated and successful children. There are a lot of negatives to Arcadia. McMansions, materialistic children, and a mall that is growing to discusting size. I think it has just gotten too big. Soon the empty store space will be filled with 99 cent stores and karate dojos. The AMC has only brought gangbangers from Pasadena and made parking difficult. I miss it back when there was just Nordstroms, Ben Bridge, and Auntie Anne’s. I still want to buy in Arcadia; definately North of Huntington. I have deep roots here. I must be nutz! No new posts snice 12/08. It looks like everyone is looking for a bargain these days. Price will come down in arcadia once the rents start to come down. There are more than ever “for rents” signs. If you want to see someone jumping the shark check this listing out. Looks like the start of capitulation. Typical Arcadia McMansion. That would be an awesome home if it were located on Newport Beach or in Miami, but Palm St?! I think the neighbor’s 1940s cracker box is Section 8 housing. If I had millions to spend, I buy in San Marino, not Palm St! It looks like you guys are going to be waiting for a while because Arcadia is holding up great. Only area that will not hold up in Arcadia are the one located near El Monte and Irwindale. The part of “Arcadia” that is near El Monte isn’t really Arcadia. It’s unincorporated, which means it’s simply part of the County of Los Angeles. That also means El Monte schools; which aren’t really that bad, but still no Arcadia Unified. That’s why the homes are so much cheaper. I bet a good number of us here are lusting after Arcadia because of the schools. Otherwise there are plenty of fine(better) homes in San Gabriel and Alhambra for much less. On another note, I wish the blog owners would start posting again! This string is getting ‘hella long! I agree the waiting part is agonizing. Arcadia is holding, but still on a downtrend, probably at a faster rate compared to neighborhoods that has already come down to earth. Why buy a house when you know you can buy it cheaper at a later day? If you want to stop paying rent, buy a comparable condo and trade up later. Or you can keep your condo for lease. Send your kids to private school. I don’t believe price will recover in a couple of years. 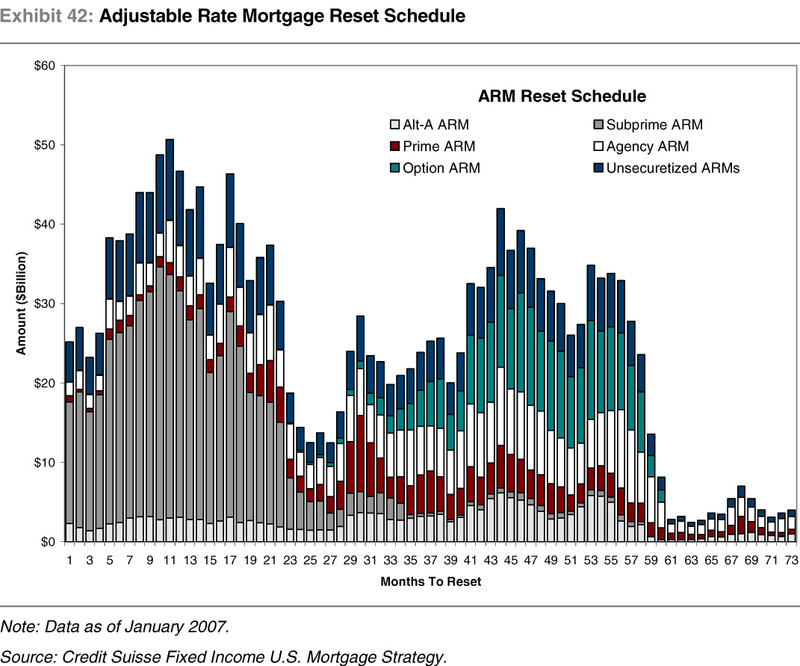 Housing bottom wont be until 2013 and it will start to recline back in 2017 so just keep renting. I saw a second short sale in last 6 mths in 91007 a few days ago. I think the WSJ article mentioned by Steve is going to be true for Arcadia too. I don’t know if it can go down 60% from peak. But about 15% down form peak (by Zillow’s numbers) at this time is still quite high. I do not see any upside except a few bumps for next few yrs in Arcadia.